Much-loved Luka Chuppi has completed its three weeks journey on an excellent note at the box office. Despite having several new offerings in the opposite. Luka Chuppi starring Kartik Aaryan, Kriti Sanon, Pankaj Tripathi and Aparshakti Khurana in lead roles. From the critics, Luka Chuppi had received mixed remarks, but from the audience it got mostly positive reviews and gained strong word of mouth. As a result, it remained unaffected opposite to the new releases and emerged super-hit so early. After a solid start, Laxman Utekar’s directorial picked up very well over the weekend. By remaining steady throughout, it raked the business of 53.70 crores in the opening week. In the second week as well, this comedy flick showed excellent performance and did the business of 21.54 crores. In the third weekend, once again Luka Chuppi took a remarkable jump and bagged the amount of 7.27 crores that included 1.62 crores of Friday, 2.25 crores of Saturday and 3.40 crores of Sunday. Then on weekdays, as usual Luka Chuppi witnessed a drop in footfalls but still managed to remain steady. With little drop, it did the business of 1.33 crore on 3rd Monday, 1.35 crore on 3rd Tuesday and 1.17 crore on 3rd Wednesday. On the next day i.e. 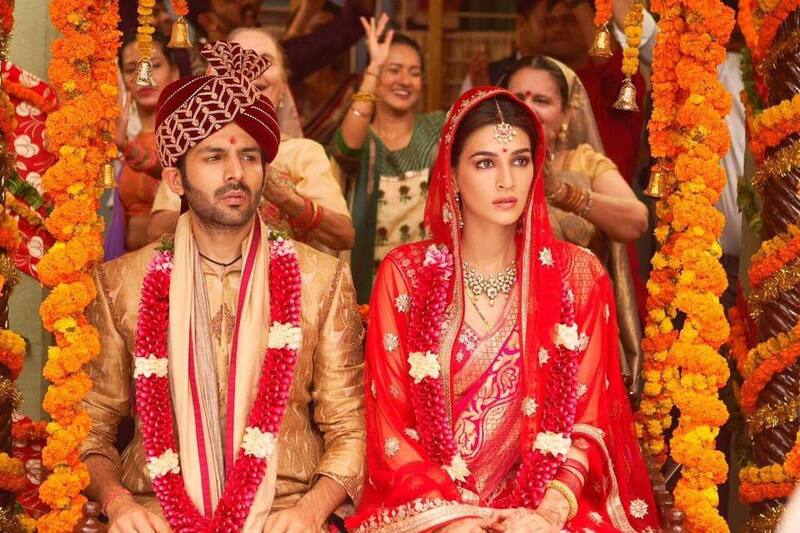 3rd Thursday, Kartik Aaryan and Kriti Sanon starrer Luka Chuppi minted the amount of 0.63 crore and raised its 3 weeks total collection to 86.99 crores at the domestic box office.